Hello everyone! 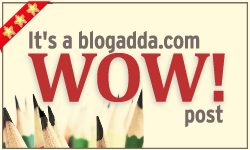 We got beautiful posts from all of you for this week's WOW weekend prompt. Right from suspense to mythology, you guys covered it all. It was fun to note how every person comes up with an entirely different perspective of one thing. Here are the posts that qualified.